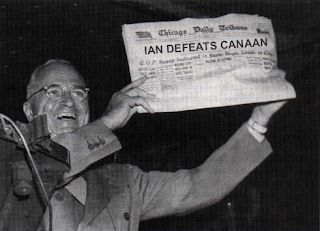 Southwestern Pennsylvania (AP) -- After a frantic Saturday and Sunday that saw Paul and Ian Clemente (also known as "Evil") both lead the vote, Good (also known as "Canaan") has triumphed over Evil (still known as Paul and Ian). The Washington contingency had let me down after a strong showing at first--I still stand behind my sentiments that Kurt Cobain was overrated, but I dont know if that had anything to do with the changing of the tide in the great northwest. There were times that I thought a concession speech was in order--especially when I felt that Ian had rigged the voting enough to be so bold as to claim himself the victor (el oh el). April 1st, the Reign of Error ends. I will not be taking the reigns of CXNX until April 1st, but until then, i will be making some subtle changes for the greater good. stay tuned. p.s. 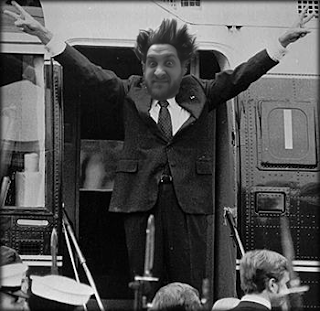 thanks for all the votes, everybody--I won't let you down.